13 Seat Limousine Hire with Driver. Funky Limos is proud to showcase our massive 13 seater American Stretched Limousine which can be hired at extremely competitive prices with driver for all occasions. If you are planning wedding limousine transport look no further. We can combine our 13 seat stretched limousine with our 16, 22, & 35 seat limo party buses for bigger group bookings by way of a multiple vehicle convoy, please get in touch for more information. 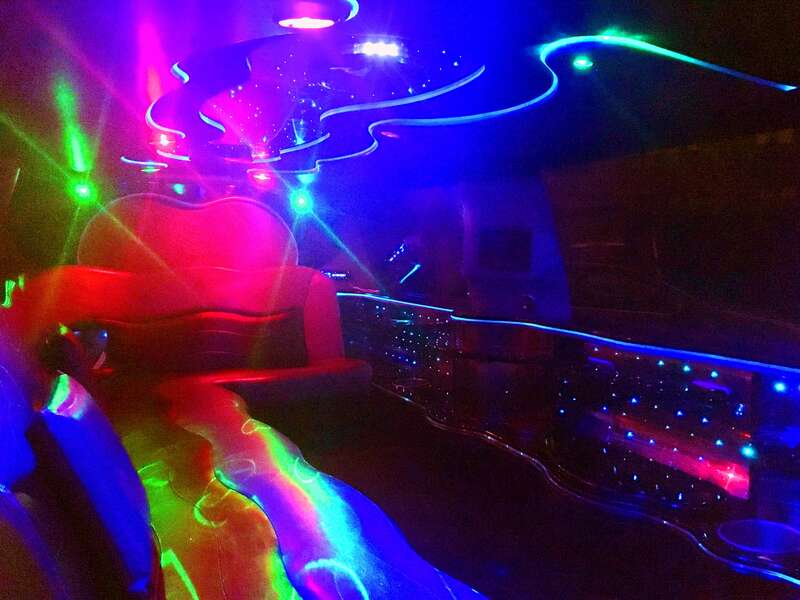 Our limousine & party bus fleet operates from our depot in Sheffield 24 hours a day. Whilst we encourage our customers to book with as much notice as possible, we will always endeavour to accommodate short notice bookings whenever possible. Typically we pick up groups from within South Yorkshire including: Sheffield, Rotherham, Barnsley, Chesterfield, Doncaster and surrounding areas. We also have a loyal customer base in and around West Yorkshire including Leeds, Wakefield, Pontefract, Dewsbury and Huddersfield. We also service the whole of Derbyshire, Derby, Mansfield, and Nottingham areas. 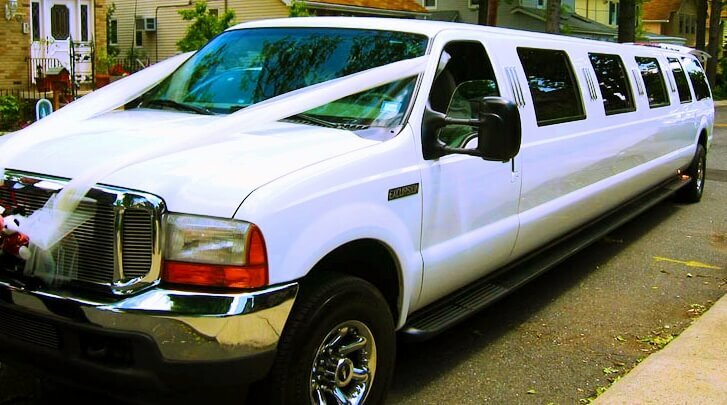 Planning your special day?, then give us a call, we can offer a basic 1 hour wedding limo booking to a full days hire at extremely competitive rates on our 13 seater American super stretched limousine. We can offer additional transport for wedding party guests on our fleet of party buses which consist of 16, 22, and 35 seater party bus/limo coaches. See our other pages. Don’t forget to discuss your Stag & Hen party plans when speaking with our representatives. Special discounts can be given when booking our party buses and limousines for both wedding and stag/hen transport. Coastal Limo Hire – Overnight Return Journeys – Prices starting from £35 per passenger. Destinations including : Blackpool, Liverpool, Skeggness, Newcastle, Whitley Bay. Raceday Limousine Hire – Return Journeys – Prices starting from £30 per passenger. Covering York Races, Doncaster Races, Aintree Grand National. Stag and Hen, Birthdays or Just Because. Local Stretched Limousine Tours Starting fromJust£20 per passenger. Wedding Limo Hire. Prices vary depending upon wedding plans please get in touch. 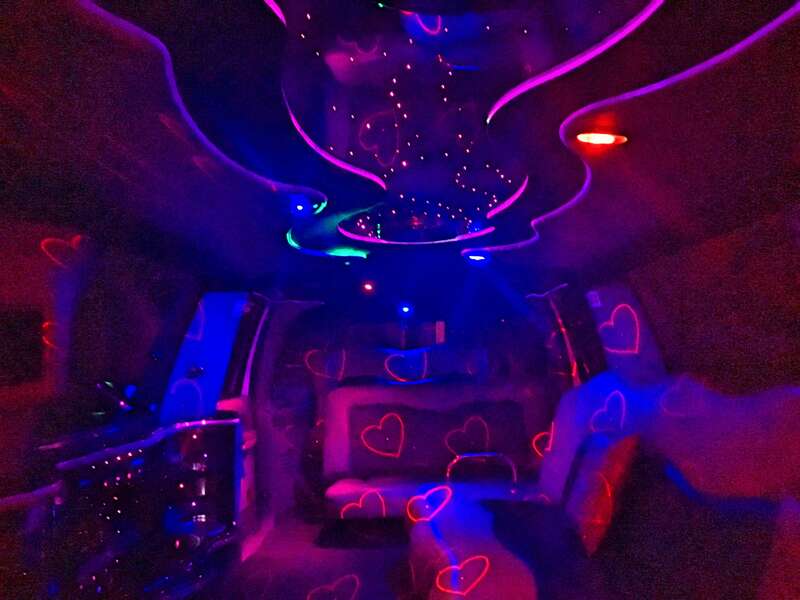 13 Seat Wedding Limo Or Party on the way to the party… All occasions catered for ‘Night & Day”.